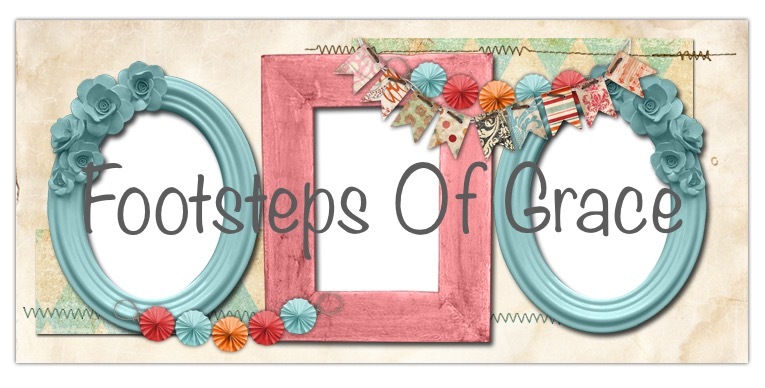 Footsteps of Grace : Our First Day ! I love this scripture !!! As a Mom my goal has always been to teach my children daily ! In life lessons and school ! My most favorite lesson have came from my heavenly Father !!! There is has never been a day that passes He doesn't teach me something !!! 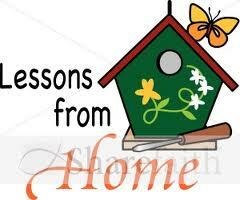 Today is our first day of Homeschooling for the year 2014-2015 ! Christian is a freshman this year ! Where has the time gone ? I am so proud the beautiful young woman she has became ! She was so excited to begin ! Our first day went smooth ! Just as I expected the day ,took a little longer to complete than in years past ! I am excited about this adventure and all the things we have chosen to use for our curriculum. I think my favorite part of our day today was our Bible lesson ! The reminder of no matter what the circumstance is God is good always ! Also our aprons we made for our future cooking class this week ! I hope you enjoy the pictures below ! Sewing isn't her favorite past time ... Like her Mom , but I think she done a awesome job! We used shirts that I got from my nephew Josh ... It was a nice thought, that he would be apart of school ... Her favorite part about today was English .... She wrote a beautiful poem about butterflies !!! She is a very gifted writer ! I'm so glad you guys had a wonderful first day!!! I hope God blesses your school year! I hope you can find time to blog about it! Love you guys!